close up 2, originally uploaded by Vidaflores. 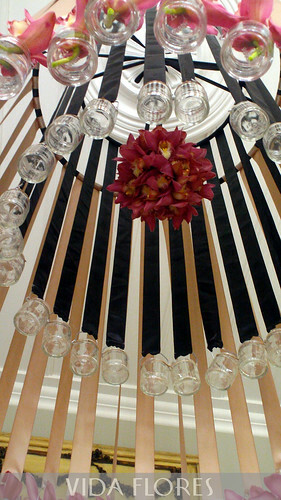 Dark pink orchids were used in this chandelier which was placed in a villa in Parnell for a dinner party. The gold ribbon was chosen to match the room.